We are globally renowned exporter and manufacturer of Rice Colour Sorter Machines range that includes Hefei Color Sorting Machine,CCD Black Rice Color Sorter,Rice CCD Color Sorting Machine,etc. Our rice colour sorter machine is ideal for rice processors who sort different varieties of rice and at different processing stages.The sorting range is suitable for processors who demand the highest in rice quality,offering precision sorting to maximise yields and increase profits. It can effectively removes both typical and challenging defects and foreign material;discolouredgrains,chalky grains,bran streaks,sticks,stones and unwanted foreign seeds,leaving the finished sort ,clean,and safe. 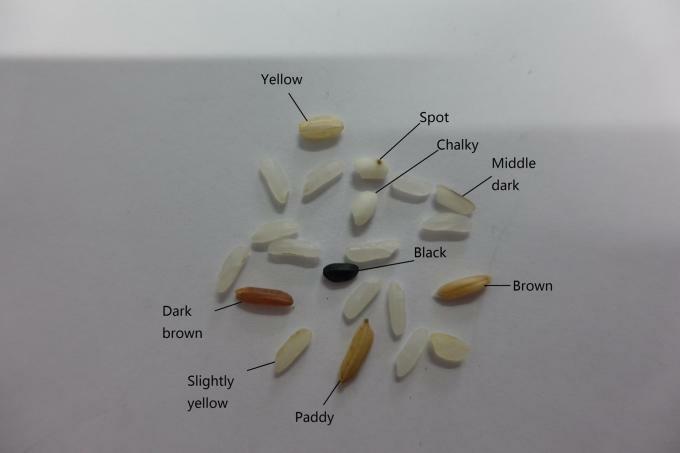 we can sort out red,yellow,and green grains,chalky rice,discolored and immature rice,blackspotted grains with spot less than 0.25mm. We can sort out black and burned grains,discolored ,black spotted.And any others defective grains.